Feeling generous? Want to give a gift of cash or something equivalent to a family member or friend? You should understand the tax implications. There are numerous reasons why you might want to give a gift to someone you know. Maybe a family member has gone through some hard times, or a friend’s child needs help with school tuition. Or you’ve come into something of a windfall and just want to share the wealth. The IRS has very clear rules about the tax implications of gifting. So before you bestow a part of what you own to someone, check with us to make sure you understand when taxes might be due. You don’t have to worry about the hundred-dollar bills that you tuck into holiday or birthday cards, though the IRS considers any gift to be taxable. The right to receive income from property. The IRS may also assess a gift tax in situations where you sell something for a price that is less than its value, or if you offer someone a reduced-interest or interest-free loan. If all gifts are taxable, why have I never had to pay a gift tax? If you send money to an educational institution for someone else’s tuition or to a medical facility for expenses incurred by another individual, you do not have to pay gift tax. 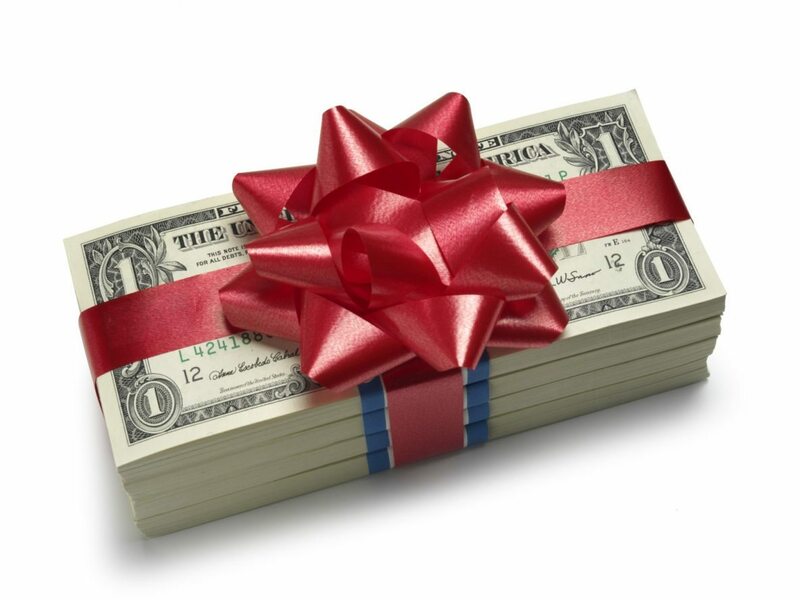 The most common scenario involves the outright gifting of cash to someone other than a spouse. These gifts are only taxed if they consist of an amount that’s greater than the annual exclusion for the calendar year. Which means you can give away up to $14,000 to as many people as you want for the 2014 tax year without being taxed. What happens if you give more? If you, for example, give your adult son $30,000 because he’s buying a house and you want to help with the down payment, the first $14,000 of that is not taxed, thanks to the annual exclusion. And the remaining $16,000? That may or may not be taxed, depending on something called the “applicable credit.” We can help you calculate in a situation like this. Even if no gift tax is due here, though, you will have to file a gift tax return. There are other scenarios where this would also be required. You can be generous without being taxed. But be sure you know exactly where the lines are drawn.